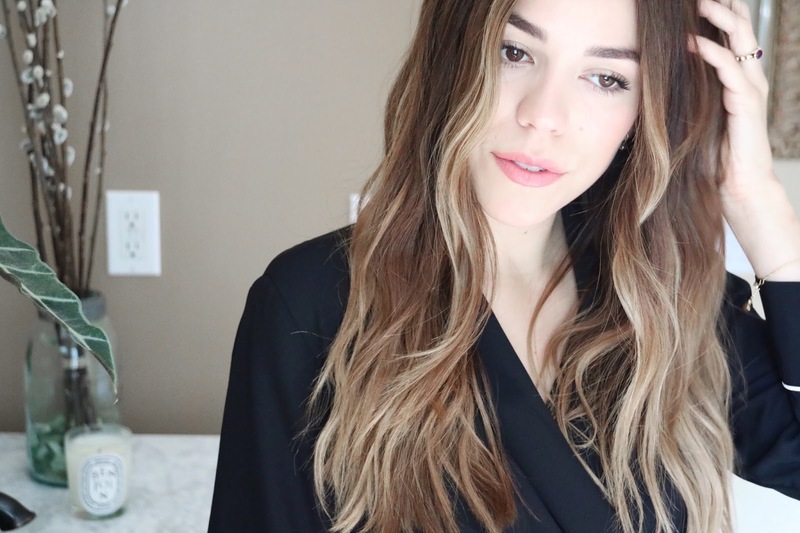 I'm the first to admit that it's easy to get stuck in a hair rut. And, while I do like the loosely curled style I typically go for, I've recently been trying my hand at a more modern version of the ever-popular messy wave. 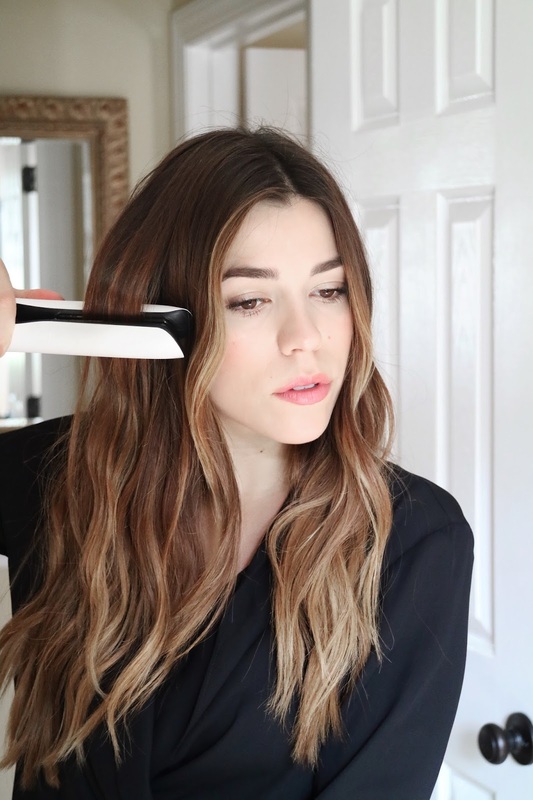 I guess the correct term for this kind of wave is an "S Wave", which has become highly sought after ever since celeb stylist, Jen Atkin revealed it's often the technique she uses on clients to achieve a more natural-looking beachy wave. I'm so excited that I've finally mastered this technique - and gosh - it makes that "French/Cool-Girl" hair feel so much more within reach. 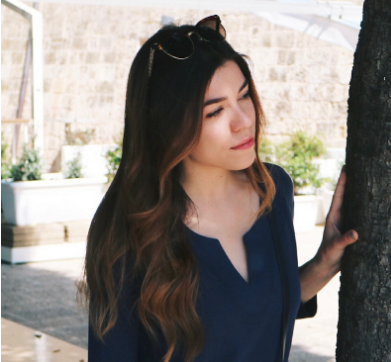 To do this style yourself, you'll need a straightener, an oil (or smoothing serum) and a salt spray. 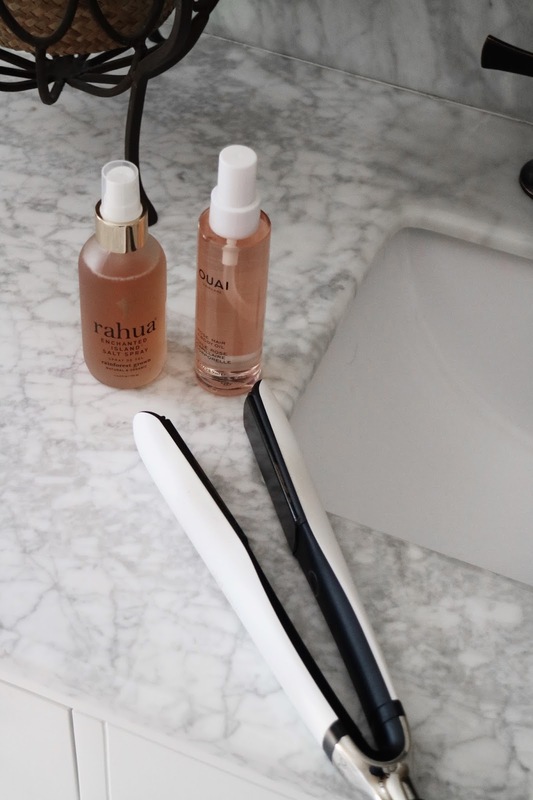 I personally love the Ouai Rose Hair & Body Oil because it smooths frizz but is so light, and the Rahua Enchanted Island Salt Spray for the amazing texture it gives your hair without feeling crunchy. I have to say, I watched Jen's video multiple times to ensure I'd do this correctly and not end up looking like the fifth-grade version of myself who used to crimp my hair for school. Lol...shoutout to my awkward stage. To start out, I like to separate my hair into two sections: the right and left side. 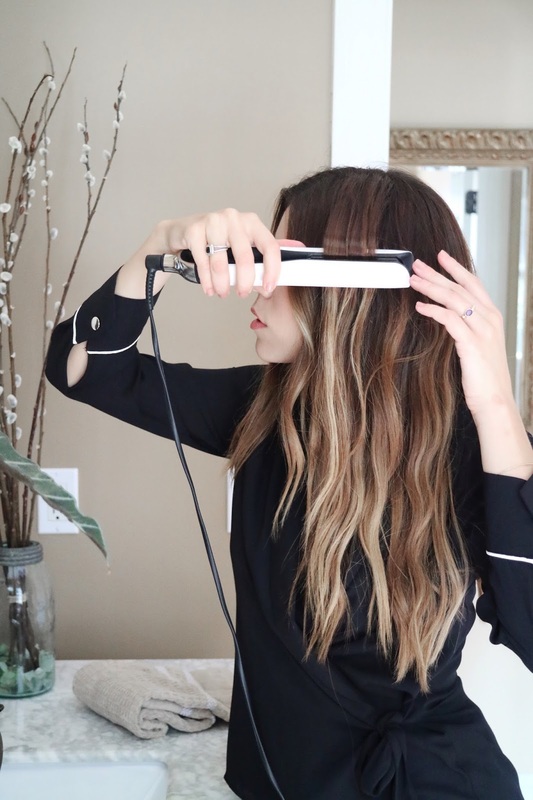 Leave the front two pieces out on either side of your head, and taking a one inch section of hair, begin styling about 2-3 inches down from the root. Bend the hair in a downward (or under) motion, and then back upward, and repeat, ensuring your movements are fluid and relatively slow until an inch before the ends of your hair. Rushing and not making fluid movements will result in a bent look, which is a dead giveaway for iron use. It's important to leave the ends out to avoid that prom-curl look; this style is supposed to look really effortless and as though you slept on it wet and "woke up like this." Once you've done this to all but the front pieces, take the iron and create a regular curl on the front pieces, ensuring you don't curl the end sections still. 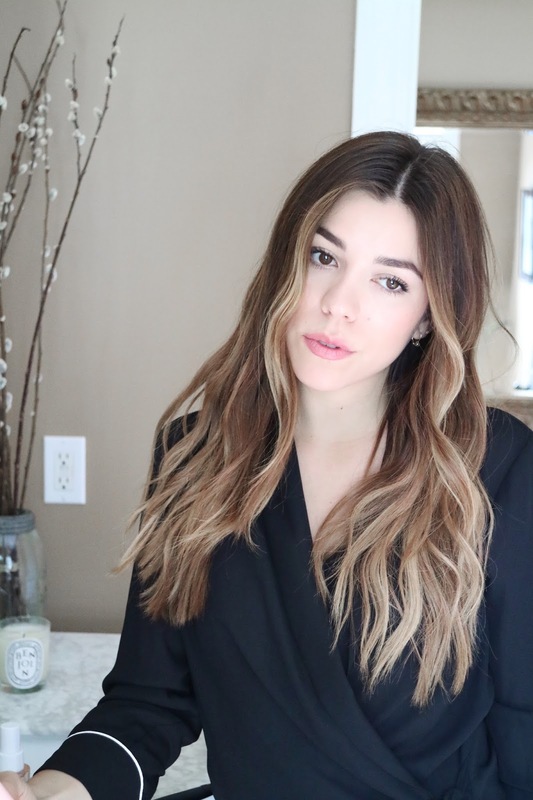 If you want to get an even more natural look, grab a few random pieces throughout your hair and do this same step so that your waves don't look uniform. Now that you're finished with your heat styling, grab the wave spray and spritz the mid-lengths of your hair throughout. After you've done this, I find that scrunching and just giving the hair a bit of a shake will help to define the waves and give that piecey look. Then, use a drop or two of the hair oil, massage it into your palms and run it over any areas of your hair that have flyaways. Even though this is a messier, lower-maintenance style, I still like to do this step so that the hair looks healthy and polished. That is it! Again, you can watch Jen Atkin's video to make sure you get the idea before giving this a go yourself; but just as she mentions, don't overthink it. It's actually easy and lasts very well. In fact, I'm sort of even more in love with this style on the second day.